We are proud to announce that the 6th annual ISNVD scientific meeting will take place in lower Manhattan, New York City on April 29th and April 30th of 2016. During the past few years, the field of neurovascular disease has witnessed a vast growth in clinical and translational research. Meetings are more educational but from time and time again, there is only a limited opportunity for a complete discussion. As a result, a gap appears between the growth of knowledge and its distribution and use. The ISNVD meeting provides a program for international experts to discuss and compare research. We invite you to join us in the fascinating city of New York in April of 2016! The ISNVD is proud to announce that our Keynote Speaker at this year’s annual meeting will be Dr. Jonathan Kipnis from The University of Virginia in The United States. 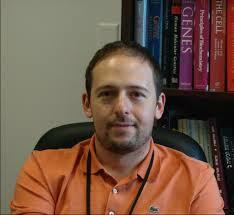 Dr. Kipnis is Director of The Center for Brain Immunology and Glia (BIG) at UVA's School of Medicine. The title of Dr. Kipnis's lecture is: "Brain Drain, Meningeal Lymphatics and Neurological Disorders." This will prove to be both a very innovative and educational lecture that any medical professional interested in neurovascular disease will want to be a part of.